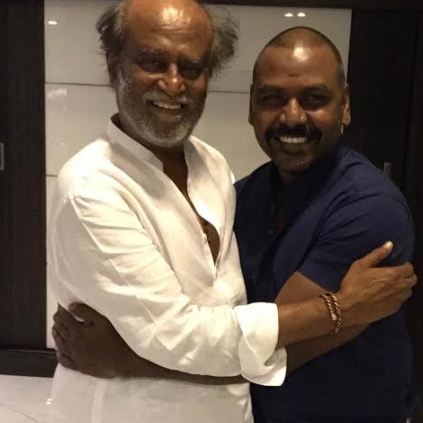 Just like most of us, actor/choreographer/ director Raghava Lawrence is also known to be a big fan of Superstar Rajinikanth. Raghava Lawrence had met Rajinikanth yesterday, (7th of September) to seek his blessings for his upcoming film Shivalinga. Sources close to the Kanchana director reveal that it was just a casual visit. As we all know Lawrence is building a temple for his mother and it is said that he had shown photos of his mother’s statue that he made for the temple to Superstar. In what way Selvaraghavan's Nenjam Marappathillai unique? Raghava Lawrence’s Motta Shiva Ketta Shiva Shooting Updates And Single Release Date. Are Raghava Lawrence And Karthik Subbaraj Teaming Up? Is Ranjith Directing A Sequel Of Kabali With Rajinikanth Or Not? People looking for online information on Raghava Lawrence, Rajinikanth will find this news story useful.